Neva Morrison, of Cherokee and Skokomish ancestry, joined Sacred Fire Foundation earlier this year as its director of grantmaking. Neva’s role as an advocate for indigenous peoples is deeply personal: She co-founded First Peoples Worldwide and served as the managing director for nearly a decade, leading its Keepers of the Earth Fund, which was then the only global fund that was indigenous led. During this time, Neva was instrumental in moving over $1.5 million to grassroots indigenous communities around the world. “We need strength-based grantmaking, which recognizes the internal strengths of indigenous peoples and their inherent knowledge and wisdom,” she emphasizes. This year, Neva has overseen Sacred Fire Foundation’s 2015 grant cycle, which received record applications from indigenous-led groups around the world. “We had over 50 grant applications. It was revitalizing to read the applications, and it gave me faith to see all the incredible work that is happening around the world,” she says. 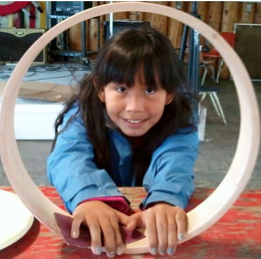 Last year, a Sacred Fire Foundation grant enabled the Gwich’in Steering Committee to host a youth leadership camp on environmental and cultural education to strengthen their indigenous language and traditions. “To me it is very important that the groups are indigenous-led. There is an inherent belief in the philanthropic community that indigenous peoples cannot come up with their own solutions. 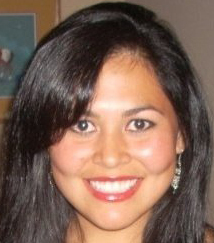 This belief further reinforces colonial mindsets and a white savior agenda-based funding.” Neva believes that her time spent in reservations, and meeting Indigenous communities, who were on the frontlines addressing some of the most pressing issues, enabled her to understand the deep complexities of the problems and also witness the holistic solutions that were being implemented from the ground-up. Neva believes that capacity building of indigenous peoples’ groups is crucial for the long-term sustainability of their organizations and movements. “Access to resources is a big piece. Indigenous groups have effective solutions. What they need is long-term resources and capacity building support.” Neva also shares that it is important for funders to support networking between indigenous groups, especially those that are in remote rural areas. Neva says ultimately it boils down to taking the risk, having the faith and building trust-based relationships between funders and indigenous groups. 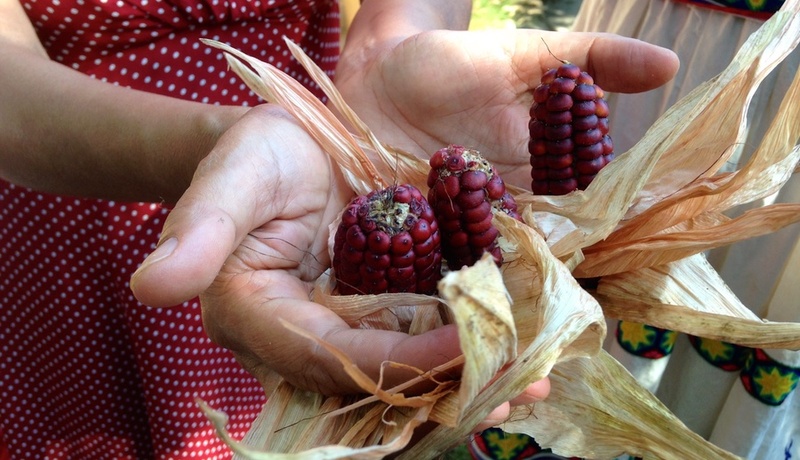 Indigenous communities across the Americas innovated the corn, a vital food source, which has deep connection to their culture and spirituality. 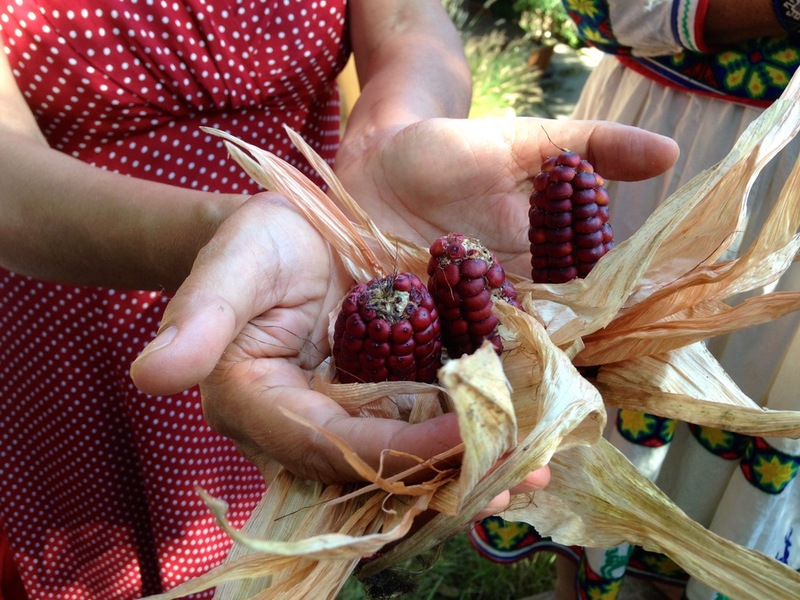 Neva notes that it is important for the philanthropic community to preserve ancestral wisdom practices and systems, such as traditional knowledge, a vital repository of knowledge for sustainable foodways, climate change resiliency and biodiversity protection. Neva believes that traditional knowledge helps us to draw upon the innate sustainability models of the past and build bridges between the ancient and the modern world. This is a very great project. Kudos!!! thanks for sharing, best wishes from Chiapas, border of Mexico and Guatemala, please include us in your mail list.